It's been a long time coming. The wait, then the hype, then some more waiting, then another 1 month wait due to motherboard shortage. Finally, it is now a reality. I give you BIANCA. Previously.... My very trusty build (LUCIA) is based on an AMD FX-8350 CPU and the ASUS Sabertooth 990FX. It had 2x HD 7750 in X-Fire. While I waited for Ryzen, I swapped out the GPUs for the Sapphire RX-470 and upgraded to a cuter case, from the Corsair 600T to the Corsair Carbide Clear 400C. With 16GB of RAM, this machine is still going strong. With the arrival of BIANCA, the missus can take over. Now... I'll be using this build mainly for gaming (Dota 2... muahaha) and development. I wanted to learn CUDA and that is the reason I went with an NVIDIA card. The Corsair AIR 540 case is a joy to build with. So much room and makes cable management almost zero effort. I was worried at first with all the fear around early Ryzen builds but honestly the Aorus AX370 works like a charm right out of the box. Only thing is that my memory seems to be running at only 2133 MHz. 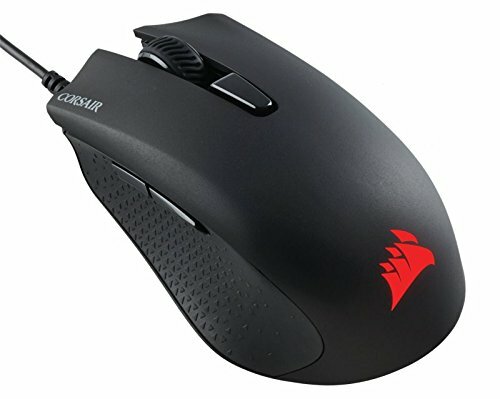 I highly recommend the Corsair K30 keyboard for anyone who wouldn't like to shell out the extra bucks for a mechanical keyboard, but want something of good, sturdy quality. It's so good I bought 2 of it for both my systems. EDIT: Memory runs at specified 2666 MHz. I just had to enable XMP profile in BIOS. 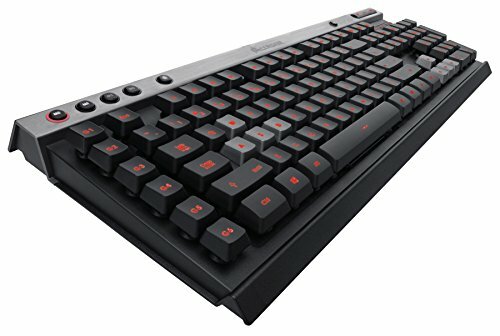 I highly recommend this keyboard for anyone looking for a cost-friendly gaming keyboard with good quality. That case must be amazing to cable manage in. beatuiful build, however consult your motherboard manual to ensure that your ram is set up in the correct configuartion. they should be placed in either the 1st and 3rd slot or the 2nd and 4th slot for dual channel mode. Thanks! Indeed they are place correctly. On the Aorus AX370, they've re-organized the RAM slots. So you have (from the right) Slot 4, 2, 3, 1. Mine are in slots 1 and 3. Nice build! Love the MSI quicksilver card(s?)! Thanks a lot. It's a beautiful card and silent card.